Orpheus was the son of Calliope and either Oeagrus or Apollo. He was the greatest musician and poet of Greek myth, whose songs could charm wild beasts and coax even rocks and trees into movement. He was one of the Argonauts, and when the Argo had to pass the island of the Sirens, it was Orpheus' music which prevented the crew from being lured to destruction. When Orpheus' wife, Eurydice, was killed by the bite of a serpent, he went down to the underworld to bring her back. His songs were so beautiful that Hades finally agreed to allow Eurydice to return to the world of the living. However, Orpheus had to meet one condition: he must not look back as he was conducting her to the surface. Just before the pair reached the upper world, Orpheus looked back, and Eurydice slipped back into the netherworld once again. Orpheus was inconsolable at this second loss of his wife. He spurned the company of women and kept apart from ordinary human activities. A group of Ciconian Maenads, female devotees of Dionysus, came upon him one day as he sat singing beneath a tree. They attacked him, throwing rocks, branches, and anything else that came to hand. However, Orpheus' music was so beautiful that it charmed even inanimate objects, and the missiles refused to strike him. Finally, the Maenads' attacked him with their own hands, and tore him to pieces. 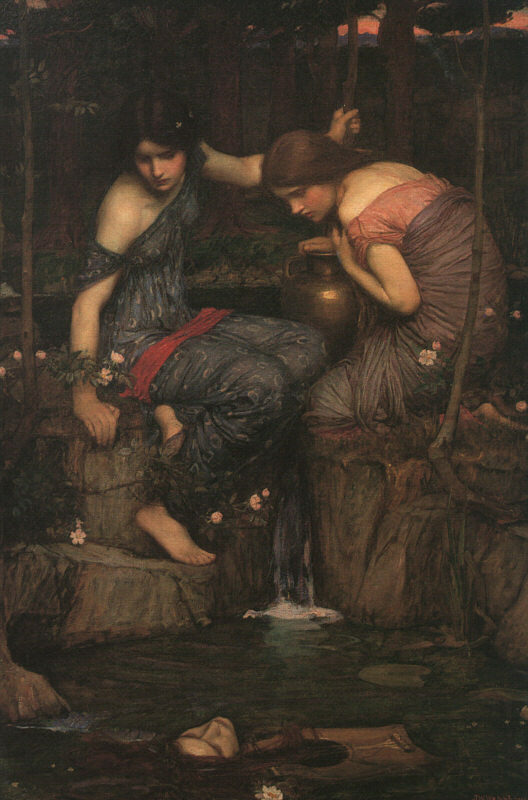 Orpheus' head floated down the river, still singing, and came to rest on the isle of Lesbos. Orpheus was also reputed to be the founder of the Orphic religious cult. copyright © 1998 - 2019 www.jwwaterhouse.com | site designed, developed and maintained by alan do.